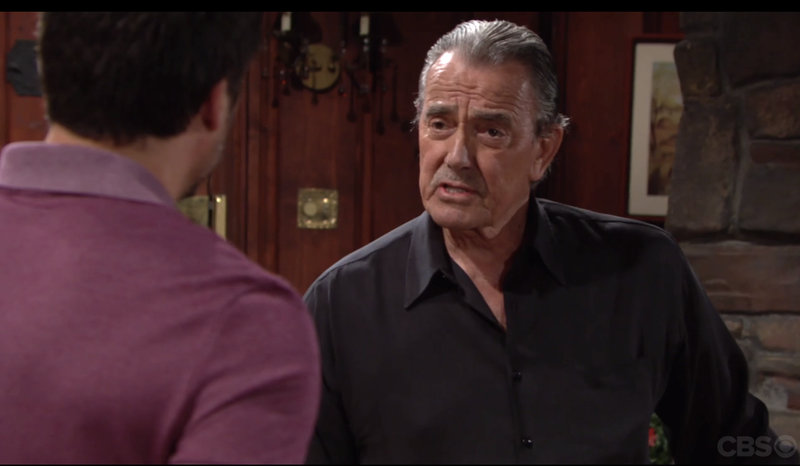 THE YOUNG AND THE RESTLESS: Victor and Nick Showdown! It’s a Newman vs Newman showdown on Wednesday’s episode of The Young and The Restless. Nick (Joshua Morrow) and Victor (Eric Braeden) continue their arguing, as we finally figure out what Victor is up to … or do we? 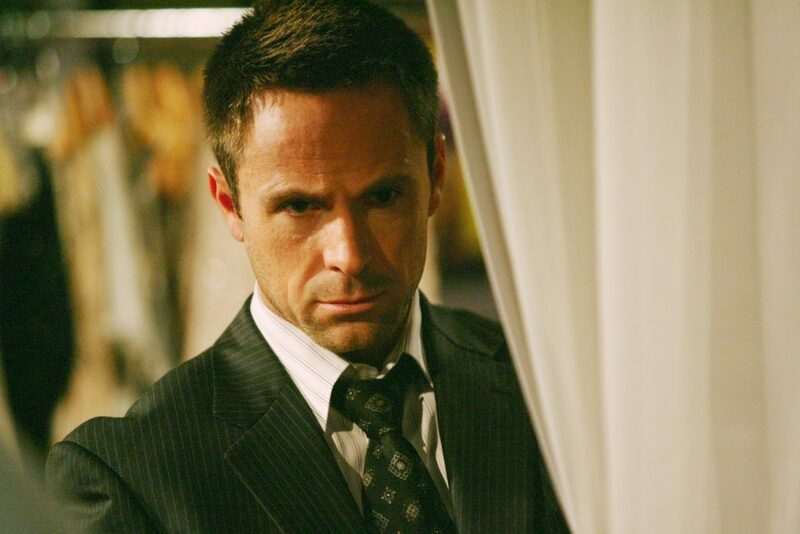 It becomes clear when Victor says that Christian will be the future of ‘Newman Enterprises.’ Nick says that he won’t decide that for Christian, and neither should Victor. Next, Victor goes on about it being his legacy. Nick fires back, he wants none of his children to be molded in Victor’s image. Then, he thanks his dad for revealing what he’s really up to, noting that he hasn’t changed and never will. Nick leaves, and Victor is overcome with tears. Later, Nick looks at a photo of Christian and says that his grandfather is out of their lives completely. However, Victor shows up and warns Nick that if he tries to keep Christian from him, he will take him to court, and it will be a dirty custody battle. Nick says that it’s his name that is on the birth certificate. Victor fires back that that doesn’t matter, Adam is Christian’s bio-dad. Nick reminds Victor that Adam did not want his son to fall under Victor’s influence. Then, Nick brings up that Victor is a convicted felon, and could very easily wind up being barred from seeing his grandchildren. Victor insults his son, calling him arrogant and promises that he will regret taking him on. A boisterous Victor says, “Do you think you can beat me?” Then, he really goes for Nick’s achilles heel, when he brings up Sharon’s (Sharon Case) past and how it would show a judge that Nick makes very, very bad decisions. Nick is shocked that he would drag Faith’s mother and his granddaughter through the dirt again. Victor says they’ll let a judge and jury decide, and walks out, leaving Nick pissed, who now must deal with the machinations of his father, of potentially losing the little boy who he raised, and a promise he made to his brother. What will happen next? What we can say, is that Joshua Morrow and Eric Braeden delivered the goods in highly dramatic, emotional, and riveting scenes as the Newman men. Watch a clip from today’s episode featuring Eric and Joshua below. Then, let us know in the comment section what you think will happen next. What did you think of the performances by Morrow and Braeden? THE BACHELORETTE Premiere: A ‘Hometown’ Dumping, ‘First Impression Rose’ Winner Under Fire, & That Text From An Ex! It bears repeating, Lala. Those actors are just too good to forget, although Justin Hartley was excellent in his interpretation of Adam. If Adam is recast, those shoes will be bigger to fill than Carly’s Pentonville sandals. Clomp, clomp! Oh, gee….Soaphound, I just saw your post….my kids think I am having a fit of some sort….doubled over laughing. Do they wear sandals in jail? oy! 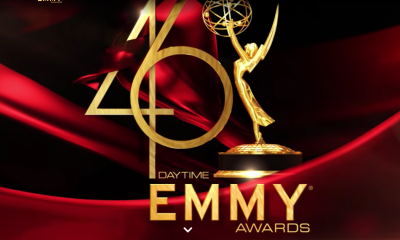 it was so much fun for me.. to christen the passing of the torch… from Jack Abbott and Victor Newman… to Billy Miller w/Amelia Heinle; Michael Muhney w/Sharon Case. Oy.. and this is truly when and the last time.. Y&R deserved to be #1. I literally cried when MM left Y&R and the lights went out when Billy walked off its stage. I get no enjoyment watching Gina T and Jason T trying to fit those roles….it just isn’t working. When did anybody start caring about Adam?!? Did I miss something?? Sharon’s past is checkered?? I hear these lines and I go PLEASE!!! The best part of the show is the Traci scenes gosh sign that woman to a contract! Oh Kay, isn’t Traci the greatest? I would love to see her more often and…wait for it…as Jabot CEO. Why not? It’s a new way to go and would wipe the remaining air of smugness from Kyle’s face! Traci makes me cry. I mean, it really seems like she believes in the Abbott family. She doesn’t seem to be acting. Can Y&R please stop hating on Jack? Watching Jack run around being disappointed, rejected and blindsided is akin to watching Charlie Brown trick or treating all night and only receiving a bag of rocks. Yeah, Soaphound….Traci humbles me. There really is no one like her on any of the remaining soaps. She’s driven by neither spite nor regret…..considering she lost her child so tragically; her heart held its purity. Funny how the recipient of Colleen’s heartbis so not-Colleen-like. Just the opposite. How’s that? Yet, Soaphound, I got the feeling, today, this vicious ‘attack’ on Nick is a ploy to keep him in GC. The best way to do that was to sue for full custody of Christian. Nick has no choice but to stay put. Very clever move by the writers. See? I like complications such as this—-in true soapy form!! Thought Nick was going to punch Victor. The only time Victor was truly challenged by a child of his was when Victoria slapped him then played by HT /EB went nuts it has never happened again. He has problems with always having to win I have a journalist friend who will not go close to him. Also MM was a superb Adam but he will never be back he has been blacklisted I have no idea if the rumors were true or not but his reputation is ruined in daytime. 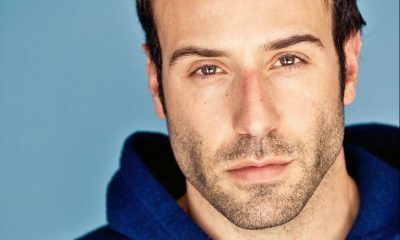 Josh Morrow really brought his A game to the table–bravo! And Eric Braeden is so good that he makes it look easy which is why I think he’s sometimes underrated. When Nick rejected his job as COO of Newman and told his father off, Victor had tears brimming in his eyes. The look on his face was utter despair because he cannot change, cannot be the father Nicholas needs and wants. I know that look. ^^^^ what is this; and, what; does it mean ? 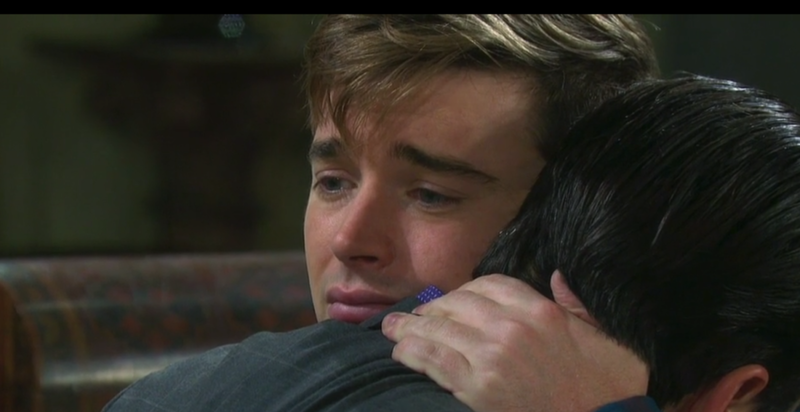 I think Victor is crying because he knows he is hurting Nick. By the same token, he is still under the influence of his own greatness—-blinded by his own majesty—that he is the ultimate sage—the only supreme being who knows what’s best for his family, encompassing young and old. How dare these subordinates, borne of his loins, disobey his law?!?! I do believe he loves his family with all his heart…he does have a heart ( Ha! We DO know that fact), but has he left his soul on the auction ‘table’? I thought he was spectacular!!!!!! Love Eric—I love the secret smile and nod he gives during the intro to the show…. And Nick? I thought I had lost him for a while…..but, as Harry said, he showed his stuff ….something I had lost hope in ever seeing again. Ok so I thought the storyline a few months ago was Sharon Phyllis ugh and Nick were keeping the parentage of Christian a secret so now Victor knows which we knew but they didn’t ! I’m going nuts are we sure Pratt is not back in the writing room? I don’t think we know, as said, that Christian is Adam’s child. That idea just flew out of the blue sky, so to speak, and became somehow true. This DNA testing must have an inhouse person. Or, we are all watching a crazy Soap we just love and hate. Same thing for Jack and John not being his father! These are not comfortable twists and turns. You bet, Tani…..I still believe Christian is Nick’s…..as is Jack John’s son. We may suggest and speculate, hither and yon…drive ourselves nuts; but, the writers will eventually do what they want, after playing with our collective minds, a bit. DNA testing is supposed to be uncontested…infallible; yet it is getting so ridiculous lately, I don’t put much faith in soap labs, LOL….. something always comes up to naysay what is, or was!! I dislike Nick ; such a disrespectful son. Plus, very disloyal and untrustworthy. In addition, he never liked Adam from the beginning; now Adam’s son, Christian , is his son; I know not!